In this corner of Elx we can discover more about the essence and meaning of the palm tree plantation, its historic and cultural significance, the palm tree and its uses and the fertile lands. 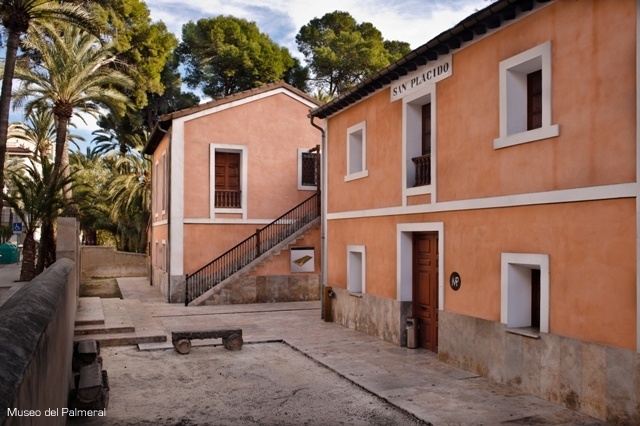 We can take a walk around the Hort de Sant Plàcid to see the original system of irrigation of the plants cultivated here, the crafts shop and also to enjoy a rest. Times: Tuesday to Saturday: 10.00 to 14.00 and 15.00 to 18.00. Sundays and bank holidays: 10.00 to 14.00.Closed on Mondays.